WE WANT YOU TO BE 100 PERCENT SATISFIED WITH YOUR PURCHASE FROM US. 3. WE WILL SHIP PROMPTLY. WE SHIP 5 DAYS PER WEEK. WE SHIP VIA UPS GROUND, FEDEX GROUND, AND US POSTAL SERVICE , AND AVERAGE DELIVERY TIME IS 1-5 DAYS, DEPENDING ON YOUR DISTANCE FROM US. 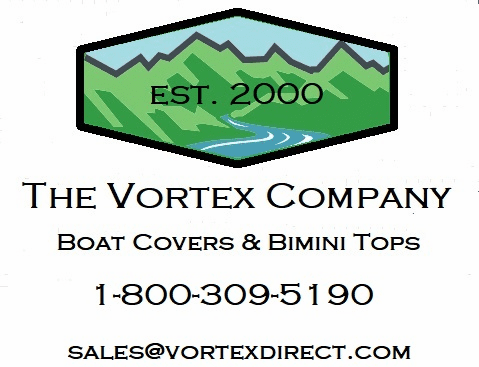 These are the best Personal Water Craft (PWC) covers available. They are suitable for storage and mooring. The cover is made from marine grade polyester. The cover is made from 7.8 oz/600d/600 denier solution dyed polyester. 'Solution died' simply means that the thread is dyed before it is woven into the material, as opposed to the fabric being woven or produced, then dyed. This process allows for better penetration of the dye, and better colorfastness. This makes the cover very resistant to fading. The fabric is marine grade polyester, so it is designed for a marine environment. However, it is also coated twice with polyurethane on the bottom or downside, UV protected, and mildew protected. Our covers come with tie down/hold down straps, as well as a storage bag. These also have elastic around the bottom, for super snug fit. These also have a couple of tie down straps that are included. The straps will help it to stay on securely. This particular unit will fit a personal water craft (yamaha, polaris,seadoo, honda, etc...) in the size range listed above. 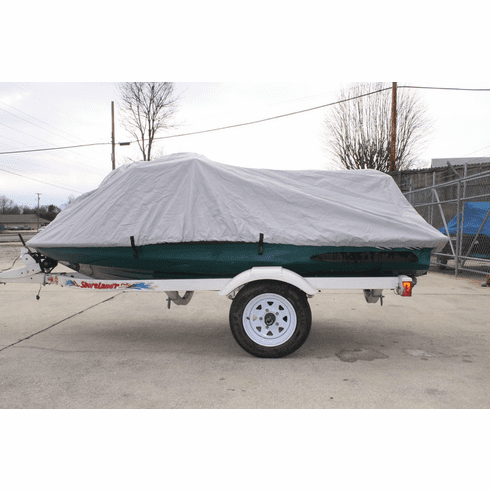 Sizing boat covers is confusing at best. Feel free to call us for a no obligation consultation! We will be glad to help you.